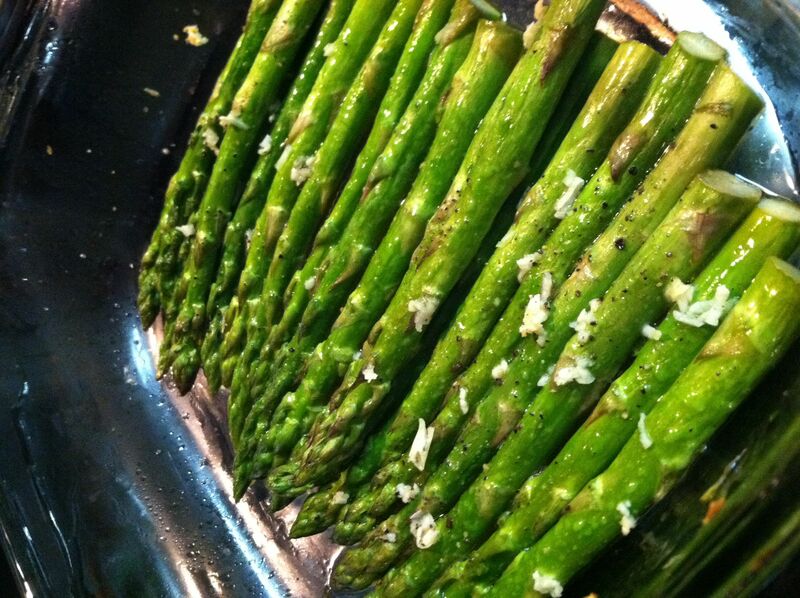 Dear everyone: you can stop googling “how to cook asparagus,” because I have a SUPER easy recipe right here! It is simple, delicious, and it’s a wonderful side with anything. Preheat oven to 350 degrees. 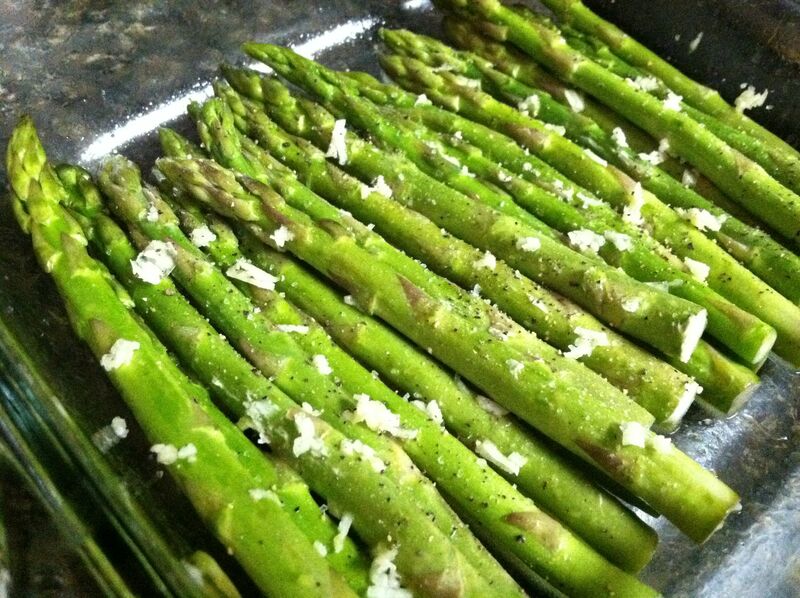 Place asparagus spears in a glass baking dish. Melt butter in microwave and pour over asparagus. Use olive oil instead to make this vegan and a bit healthier. Shake the dish around a bit until all the spears are well coated. Spread out flat in dish, and sprinkle minced garlic, salt, and pepper over the top. Bake for 15-20 minutes or until spears are tender when pierced with a fork and lightly browned. Boom! Just that easy. Same! And to think, I never used to like asparagus 🙂 Now it might just be in my top 5 favorite veggies! Yes! If you told 12-year-old me that someday I would go nuts over spinach, asparagus, and tofu, I would have said you’re crazy.